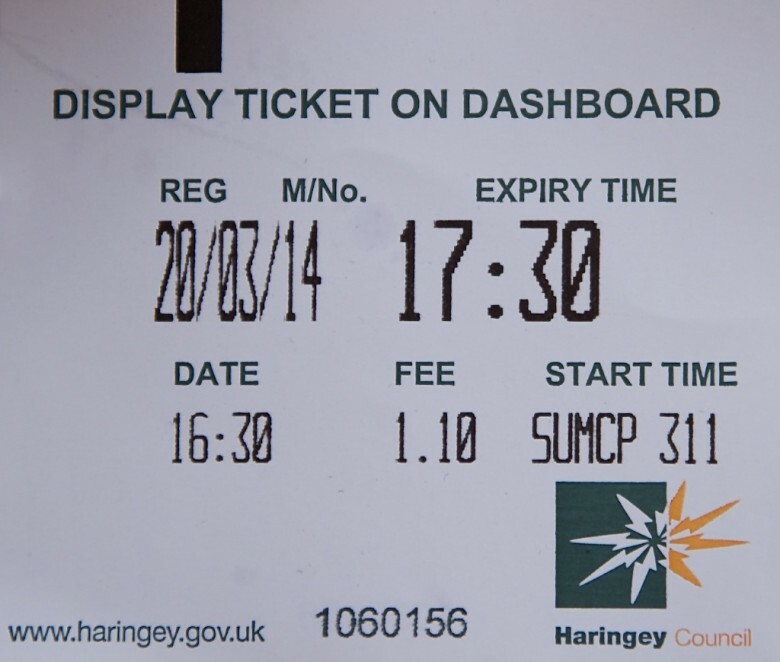 ...the logo on this parking ticket - the Haringey logo taken from the coat of arms created in 1965 when the Borough was formed. The logo is said to be a stylised electric flash representing the first TV transmission from Ally Pally. In recent times there have allegedly been attempts to diminish the link by altering the logo in a way referred to as 'resembling a squashed spider'.